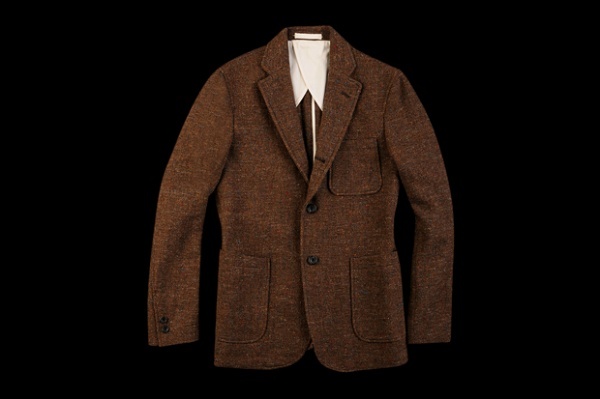 For Fall/Winter 2012 Beams Plus has released this beautiful ‘Nep Tweed Jacket’. In keeping with Beams Plus’ more mature aesthetic compared to the larger brand, this simple yet refined jacket is crafted for everyday wear. Made with the finest Harris Tweed from Scotland, the jacket maintains a level of sophistication with speckled tweed offering something a bit dynamic. Priced at $592 USD, the jacket is available now at the Unionmade online store. This entry was posted in Sportcoats, Tops and tagged Beams Plus, Harris Tweed, Nep Tweed Jacket. Bookmark the permalink.